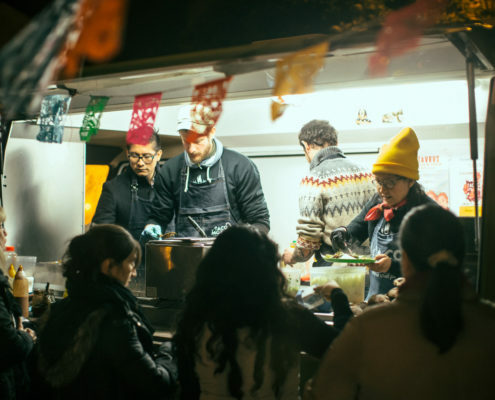 Foodies will already know that street food is tasty, simple and honest. 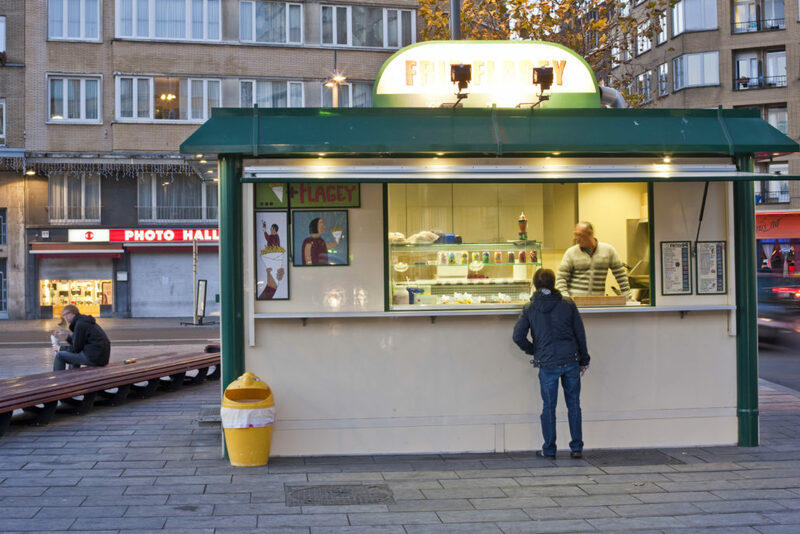 For some of the best places to eat in Brussels on a budget, look for kiosks, stalls and trucks serving belly-filling dishes you’ll never forget. 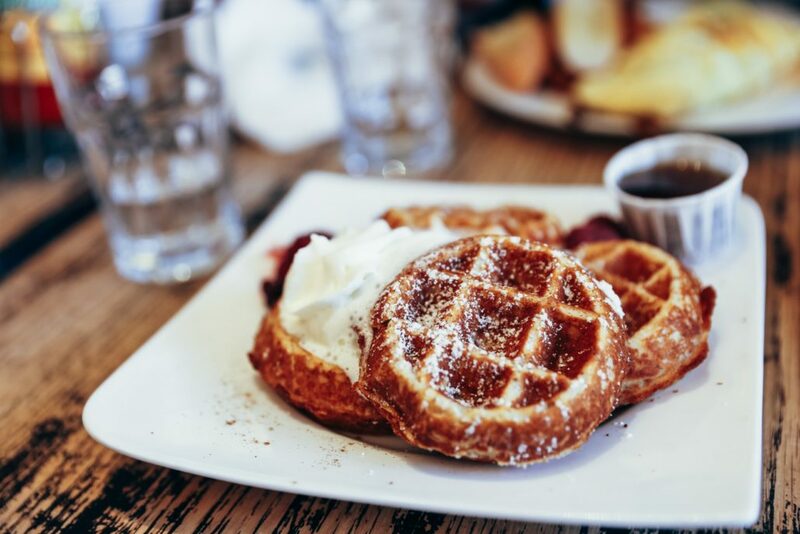 Belgian waffles have to be tried during a visit to Brussels, and the best way to enjoy them is outdoors, purchased from a street food vendor. 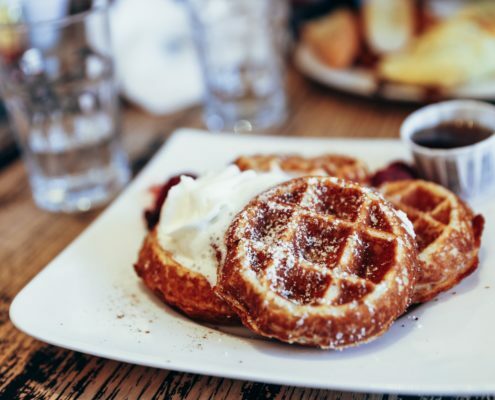 Eaten warm, wrapped in paper and sprinkled with powdered sugar, these sweet treats are great for breakfast or as a snack. Another street food must-have are potato fries. 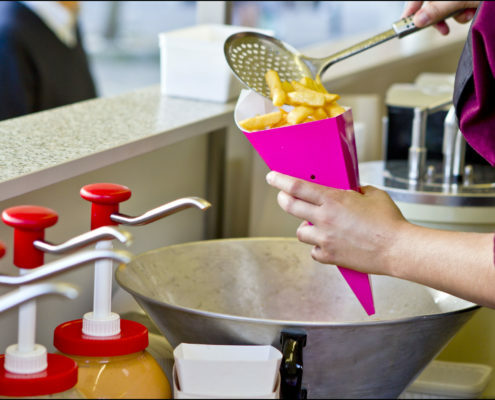 In Belgium, they are thickly cut and fried twice for extra flavour, then served with plenty of mayonnaise in a paper cone. 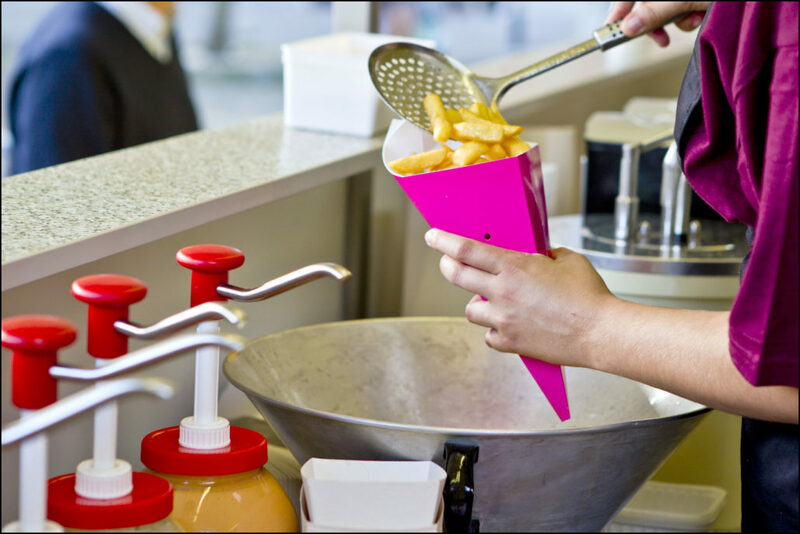 The best fries come from street kiosks and food trucks in Brussels. 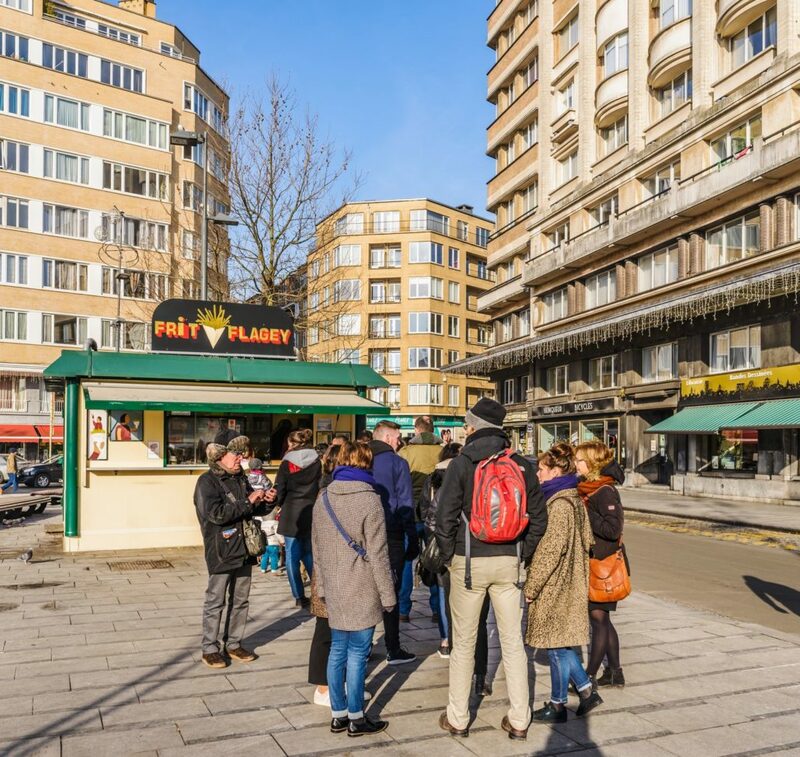 A stall in the Place Eugene Flagey is one of the best known – just look for the queue of locals waiting to be served. 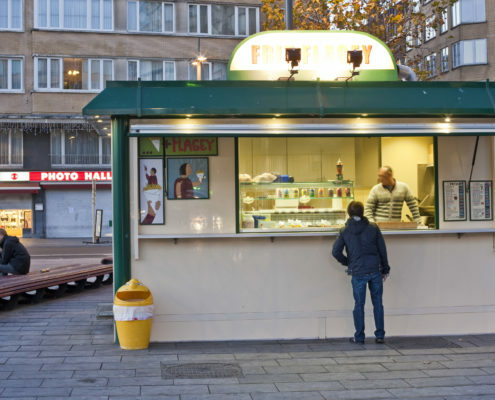 Sausages are popular street food in Brussels, and they come in two different varieties. Boudins are blood sausages, and pensen is a white sausage without the blood. Both are delicious and can be eaten with onion, sauerkraut and lashings of sauce. 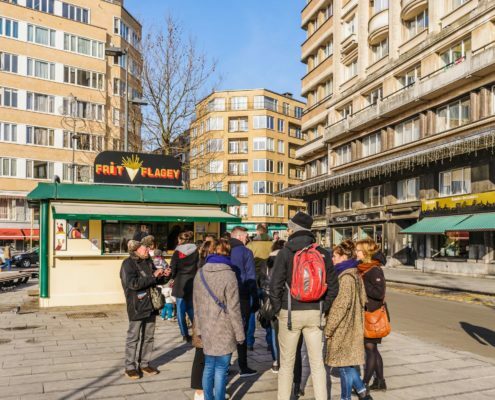 Most areas of the city have stalls selling hot boudin, but the Place St. Josse offers traditional sausage on Thursdays. 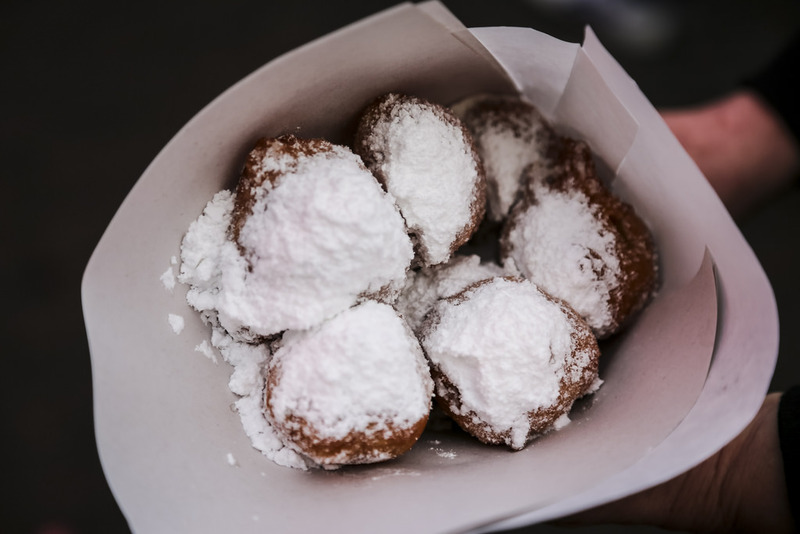 To keep you going throughout the day, try smoutebollen. 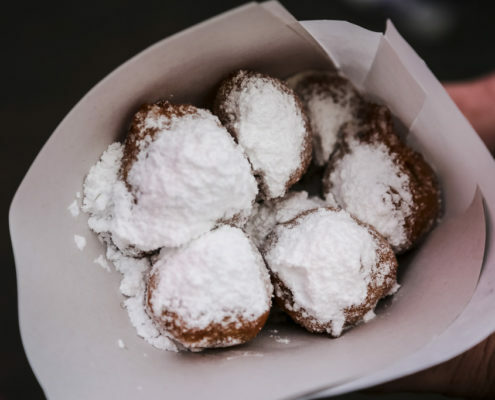 These little balls of dough taste similar to doughnuts but are fried in animal fat before being sprinkled with powdered sugar. 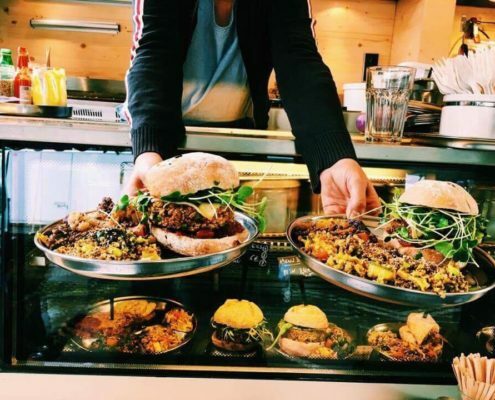 Alongside traditional Belgian dishes, this capital city offers all kinds of international and newly created takeaway food. 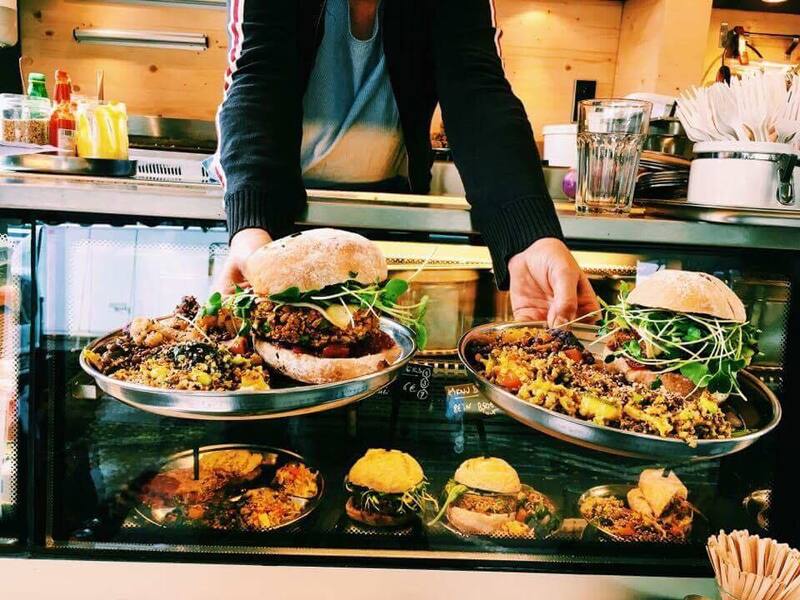 From African pancakes to Thai cuisine and even bowls of insects, you can tuck into a wide variety of street food in Brussels. 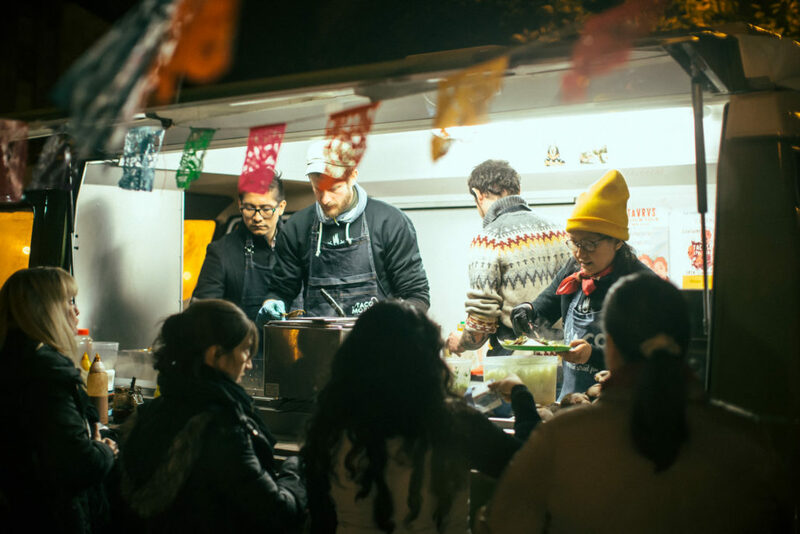 Some of the best Mexican dishes can be sampled at the El Taco Mobil food truck. 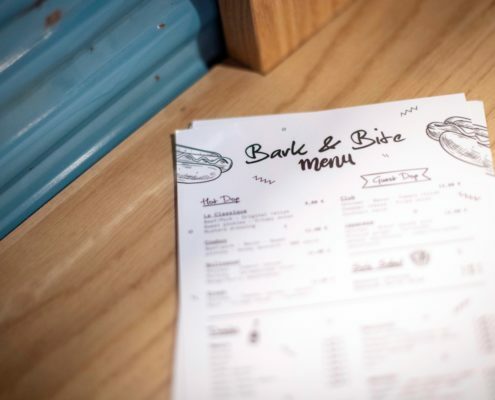 They keep things simple and fresh with two options on the menu – one is meat-based and the other is vegetarian. 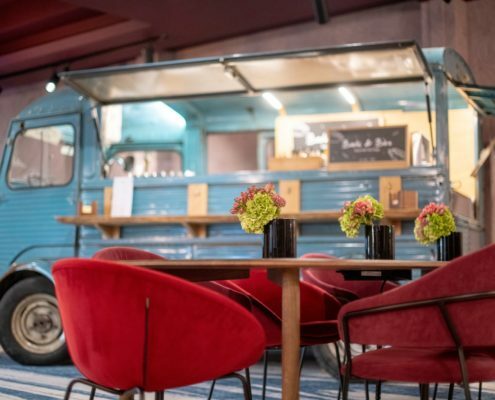 The truck pops up in different places, depending on the day, but each Thursday it’s at the Market Parvis de Saint Giles. 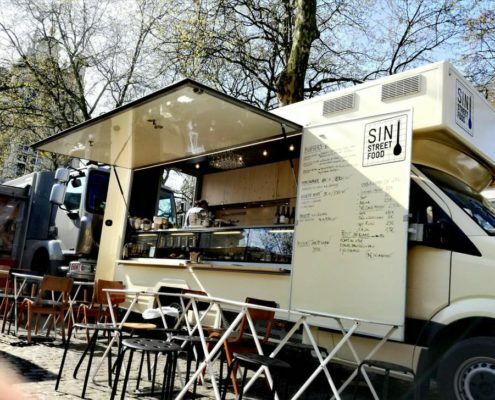 El Taco Mobil can also be found at Place Flagey market every second Sunday. 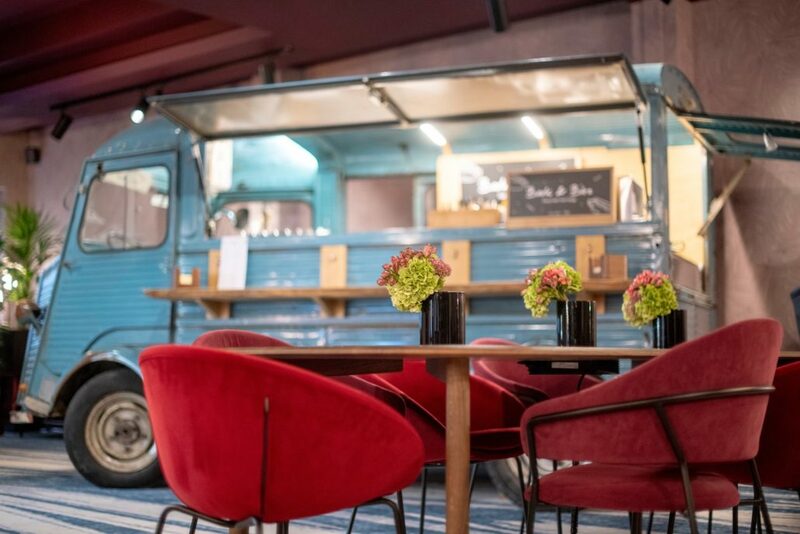 At this lively market there are food stalls and trucks serving frites, seafood, middle-eastern dishes and lots more, so for street food fans, this is the place to go. 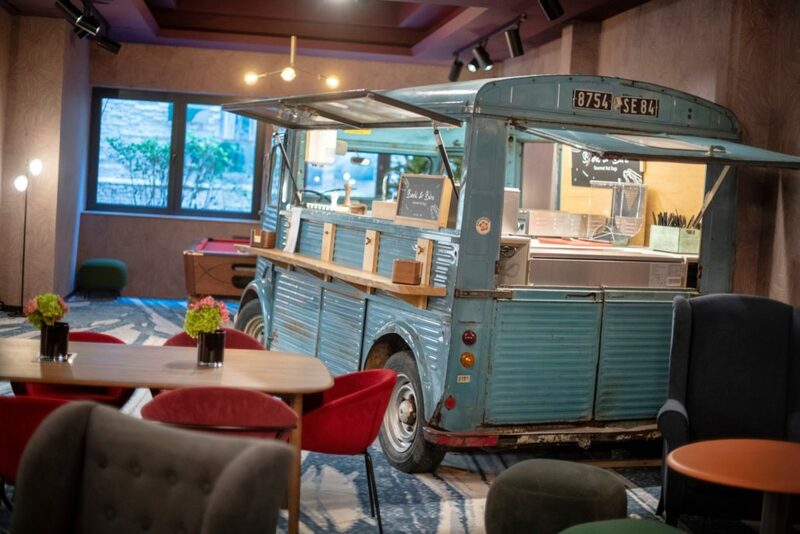 For an after-work hot spot during the week, head to the main square of Chatelain. 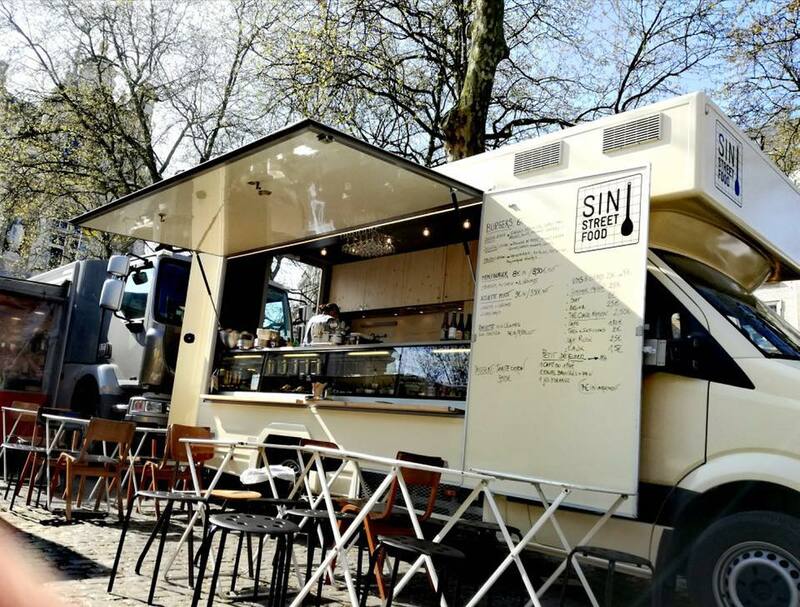 The SINstreetfood truck is one of the exciting new vegan stalls that can be found here, and their veggie burger gets rave reviews. 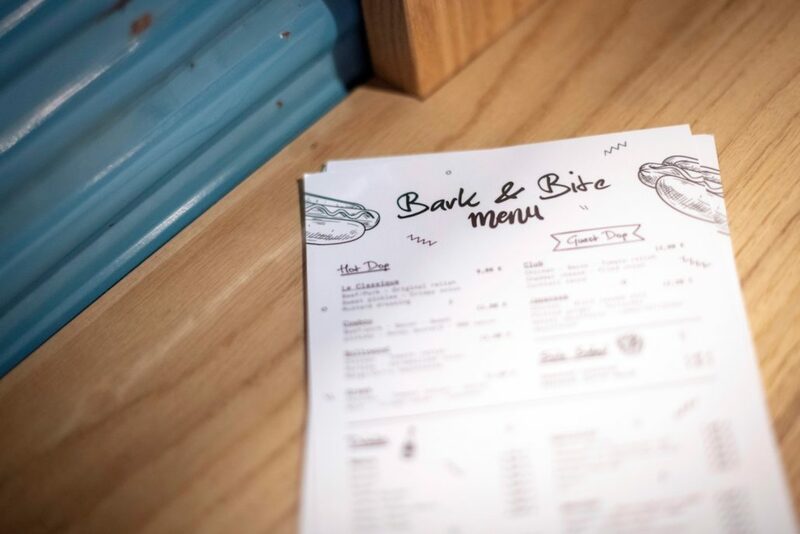 Packed with flavour, the dishes are low priced and innovative. This food truck also spends time at the Place Van Meene market as well. 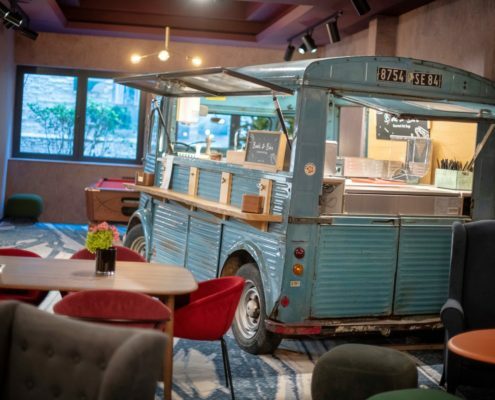 For quality hot dogs served a number of ways, the Bark & Bite food truck at Hotel Hubert cannot be beaten. A Cowboy dog comes with beef or pork, honey mustard and BBQ sauce, for example, or the Greek option combines tomato with tzatziki. Wash it down with a cool beer or glass of wine – it’s the perfect way to spend the evening.